Domestic & Commercial One Off & Contract Cleaning Company Pendlebury M27 | Quality Property Care Ltd.
Get one of our cleaners as a regular and you’ll no longer have to worry about your home being untidy. We have available slots during weekends and bank holidays, free of additional charge and with no strings attached. Use our service whenever you need to, with no cancellation fees or waiting period. You can use this service as frequently as you’d like, though keep in mind that it is hourly based and the cleaner cleans as much as they can for the set amount of time. 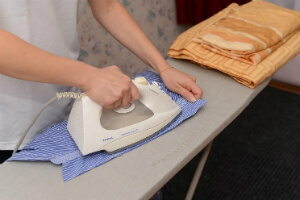 For housekeeping tasks like dog feeding and laundry, plant water and so on you can book some additional time as the service does protect these tasks, however, our cleaners are not certified for other tasks like cooking and child care, or dog walking. We can hold keys and clean while you are not home or during working hours so you come back home to clean, tidy place. If you prefer the same cleaner each time, keeping the same time slots will help drastically as they have more than one location to clean and sometimes the time slots might interfere. If you are fine with getting a various made then you can choose whichever time suits your personal calendar. The big abundance of options you have to maintain the office or home hygiene is represented by the various pack of regular cleaning services we provide. Our one off cleaning company Quality Property Care Ltd. in Pendlebury M27 avoids to settle limitations for you. Our Greater London services are available to: coroners, public service agencies, law enforcement agencies, motels, funeral homes, hotels, commercial and industrial properties, apartments, home owners, and landlords. You can reserve house cleaning or office cleaning on a regular basis depending on your professional or personal schedule: fortnightly, daily, weekly or monthly visitations. We accept orders on house cleaning in Pendlebury M27! Use the online booking for for direct reservations! Dear customers, our reputable regular cleaning company works 365 days per year with no exception for weekends or holidays! Get a free quote now or ask for more additional information via phone call on 0161 823 0325 phone number! Quality Property Care Ltd. is always glad to help you with home or hygiene office maintenance!